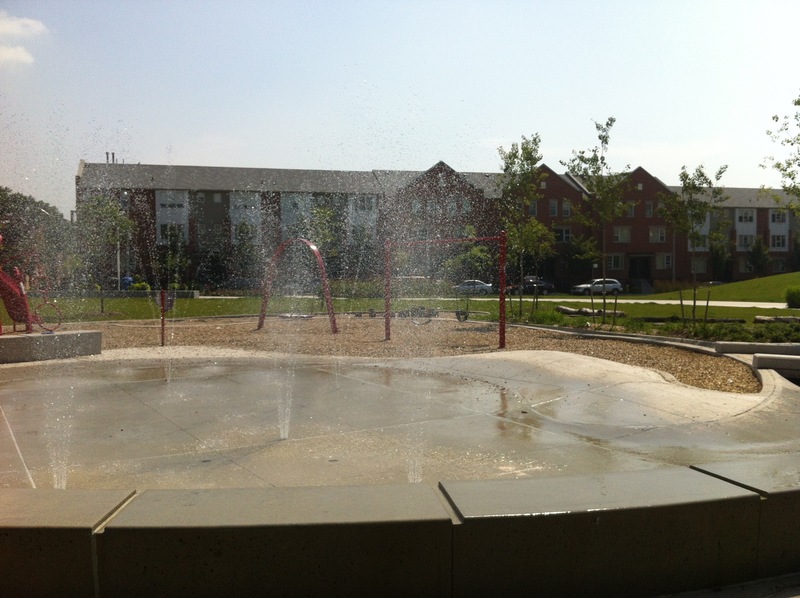 East End Splash Pads | Kids in T.O. Long live the summer. Please! The City of Toronto has 90-plus splash pads where families can cool off. The structures are button-operated (no attendant/lifeguard on-site) and open from 9:00 am to 8:30 pm from June to September. 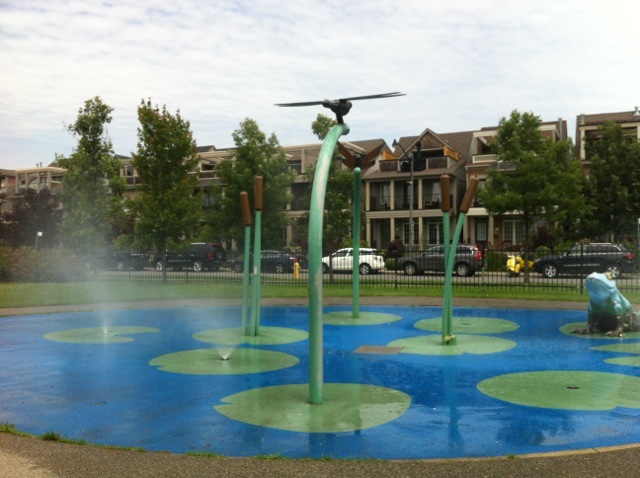 Woodbine Park – We love it because of its soft rubbery padding and that the spray fountains are playful (kids love the squirting frog). Come prepared when sunny – there is very little shade (a couple of trees and a gazebo closer to the playground). After a good splash, you’ve got options: wonder to the pond to the west or head to the Beach for some boardwalking, volleyball-watching and stone-skipping. (Ashbridges Bay and Woodbine Beach are just south of Lakeshore Blvd E and the start of the boardwalk). Bathrooms, yes (west of park, next to the pond). Lots of free residential parking east of the park. 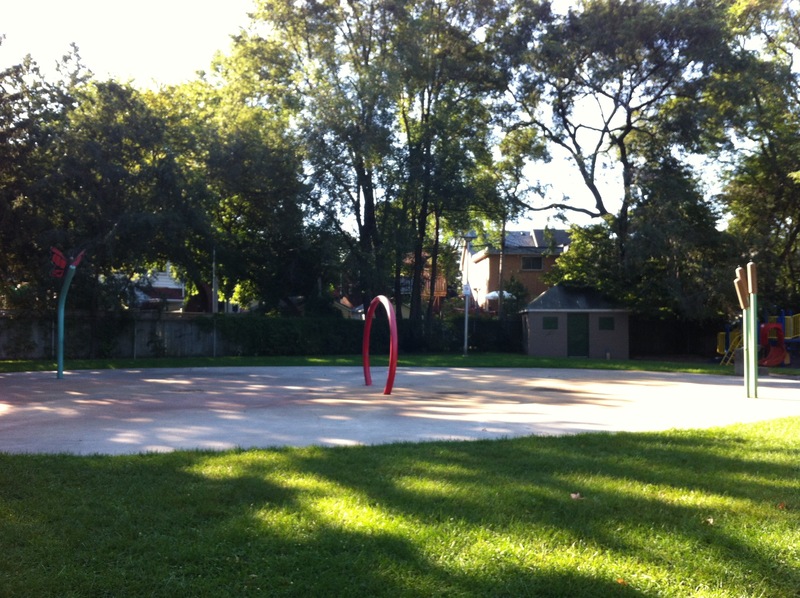 Located at the southeast corner of park along Northern Dancer Blvd and Lakeshore Blvd E.
Orchard Park – It has a large spray pad on concrete and in very short running (and watching) distance from the playground. Well-shaded and great for picnicking. Free street parking along Dundas St. W. No bathrooms (one port-a-potty). Located along Dundas St. W, just west of Coxwell. 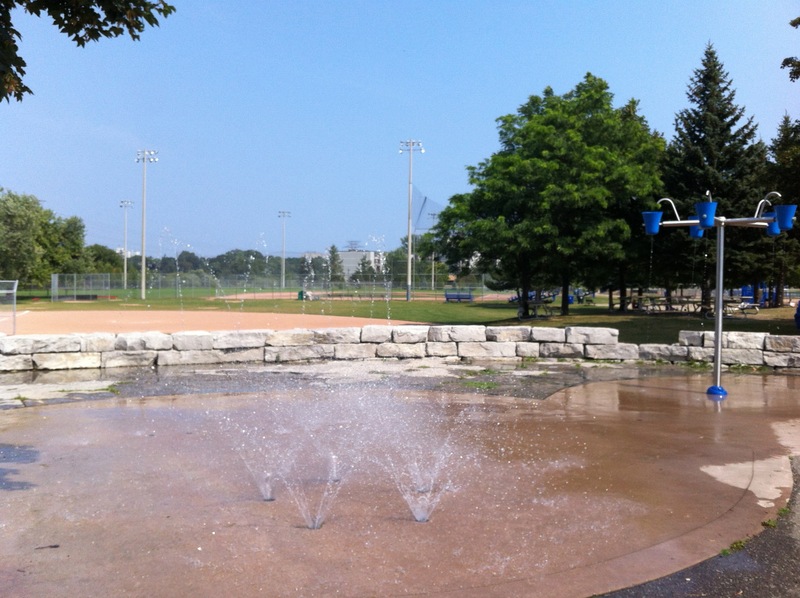 Stan Wadlow Park – This small splash pad on concrete has a good variety of spray options. Kids love watching and waiting for the blue buckets to fill and dump. There are two big beautiful trees that provide shade, a number of benches and picnic tables, and a large playground nearby. Washrooms on-site and a free parking lot across the street along Cedarvale Ave. Located south of O’Connor Ave and east of Woodbine Dr behind Kiwanis Pool. Joel Weeks Park – see our review for location and why it’s a must-visit. Where do you splash? Comment with your fave.